Let’s meet another one of our franchise partners—Ivan Vasilev. 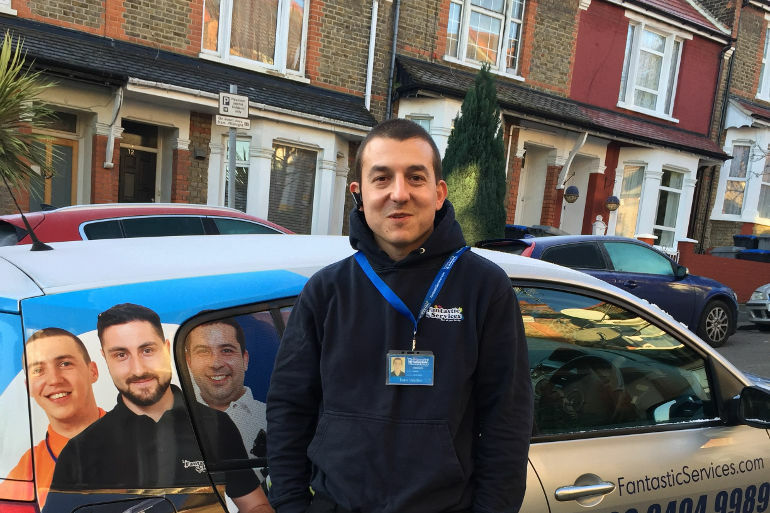 Ivan has lived in the UK for nearly five years and has worked with Fantastic Services for the better part of them. He specialises in oven cleaning and has four teams under his wing. We had the chance to talk to him and ask him a few questions. FS: How did you become part of Fantastic Services? Ivan: I learned about the company from a friend. Before that I worked in a small construction firm in London but I decided to take a leap into something entirely new. At the beginning, I worked for another franchise partner to gain experience. Then, after six months of hard work and determination, I started my own team together with my better half and we signed our partnership agreement with Fantastic. FS: Tell us what is actually fantastic about Fantastic Services according to you? Ivan: Well, during the 5 years of working here, we underwent many changes together with the company. The fantastic thing about all of this was that those changes were made to ease our daily work. But to be honest, the most fantastic thing here is, in fact, the people, who commit to the service—starting from the colleagues behind the computers, to the eventual service providers. Of course, everyone makes mistakes and you cannot be fantastic 100% of the time, but this comes together with the daily work. FS: Would you share an interesting story with a client of yours? Ivan: One time we were at an address where the kitchen was tiny, and, at first, we couldn’t see where the oven was. After looking at all the usual places for a standard oven, we decided to look up and there it was, over the fridge, at a height of around 1.60 m. Meaning, above our heads. Imagine the out-of-place situation afterwards where I had to dismantle and clean the oven while climbed on the ladder. FS: What advice would you give to all current and future partners of Fantastic Services? Ivan: What I would tell all current and future franchise partners of our company is to work hard, I know it’s a cliche, but seriously, don’t accept this as just another job. Think about your position as an opportunity to grow and develop. All you have to do is convince yourselves that this is a step forward. FS: Has your daily life become more fantastic? Ivan: Well, my day-to-day doings have become more dynamic. I enjoy going around the whole city, meeting many different people from many nationalities. We’ve also cleaned the houses of famous people, people we wouldn’t normally meet. FS: What do you like to do in your free time? Ivan: Usually, when I have some free time, I prefer to go sightseeing. London is the Mecca for tourists—both in and outside of the city—there are many unexplored places that are worth visiting. FS: Can you describe in short your daily routine? Ivan: My day is focused on my teams and their performance. I start at 6:30 am, drinking coffee every morning and I check with the teams and if they have any problems to start their workday. I do my best to be always aware of how their day passes, what happens with them and how they perform. I visit each of my four teams at least once a week to check up on their work and discuss together any problems or difficulties that might have occurred. We at Fantastic Services would like to thank Ivan for his dedication and wish him all the best of luck with his teams of professionals. Big thanks for making this interview possible! 40.00 % of readers found this article helpful.